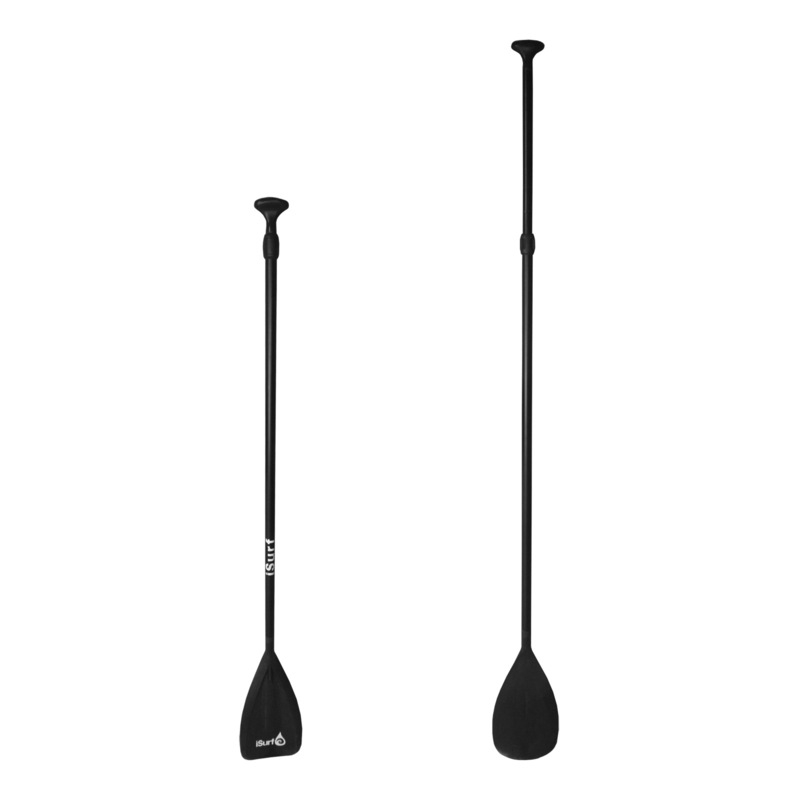 A stable, stylish, and lightweight SUP. 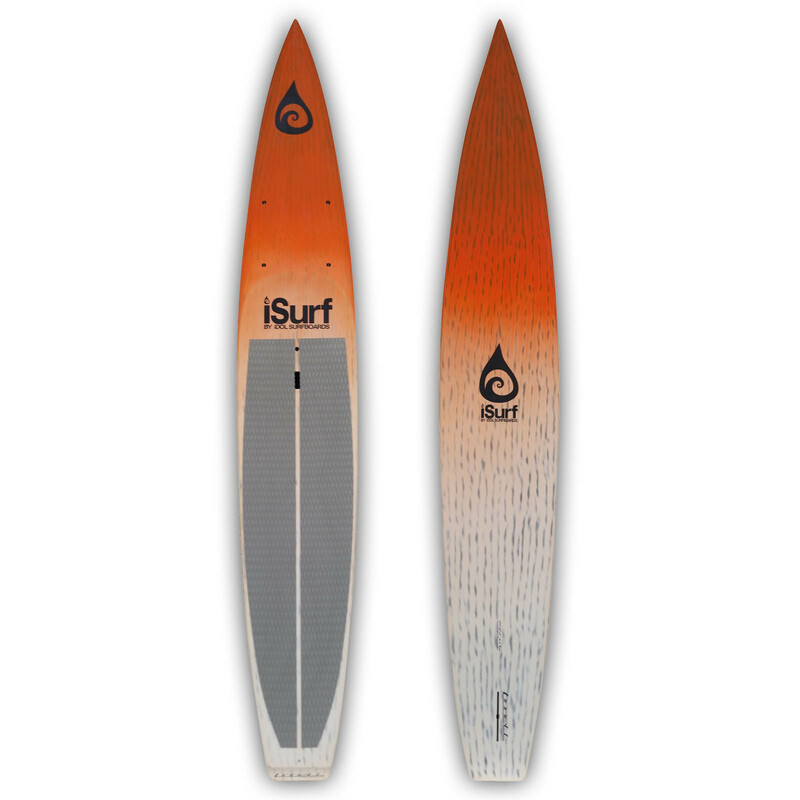 The Aloha Cruiser is our top-selling stand up paddle board shape. 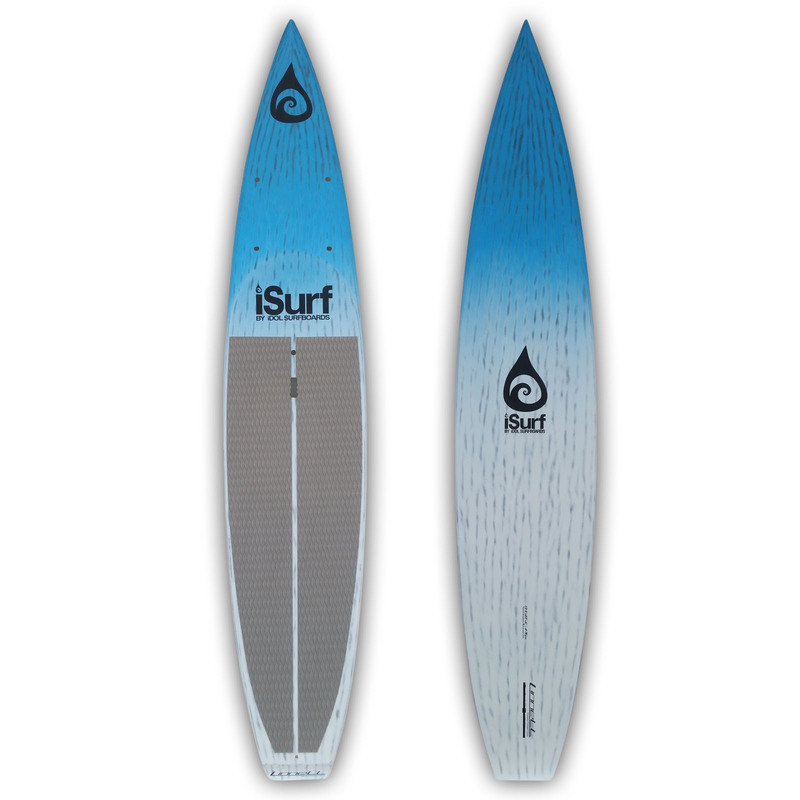 This year the Aloha Cruiser is available in four finish options: Carbon-fiber/Bamboo (shown), painted color fade, bamboo deack, and Limited Edition ‘iDol Surfboards’ graphics. 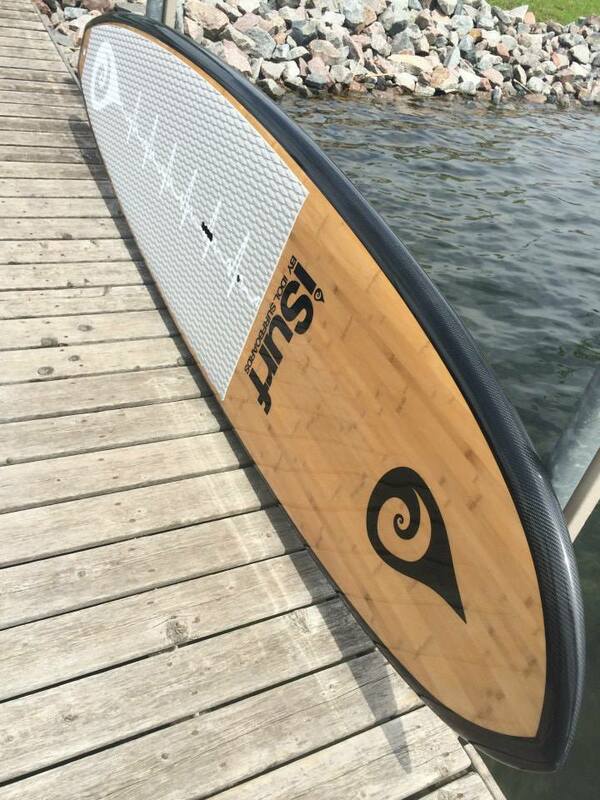 The iSurf Aloha Cruiser Bamboo stand up paddle board is our most popular SUP shape, and a great way to introduce you and your family to paddle boarding. 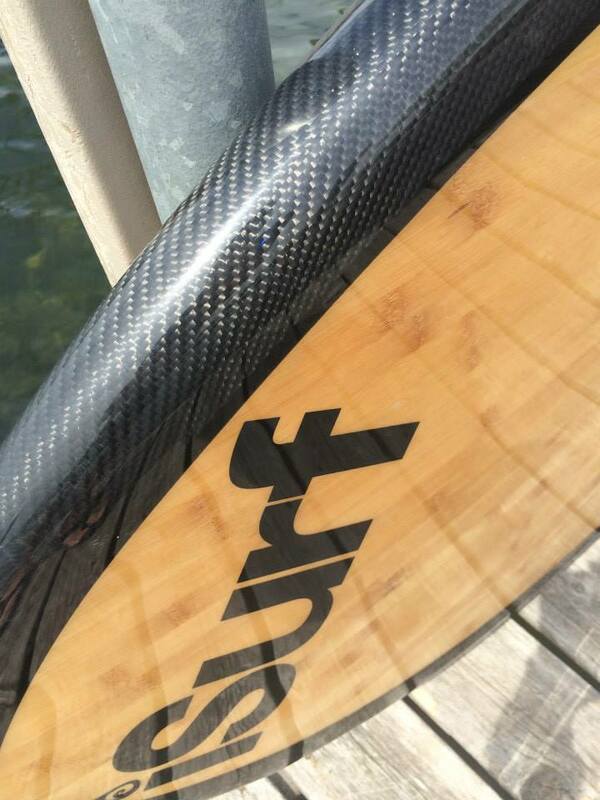 This surfboard is designed to be stable for all users and fast in the water. The Aloha Cruiser is designed primarily to be an efficient flat water paddler, but it can also be surfed. 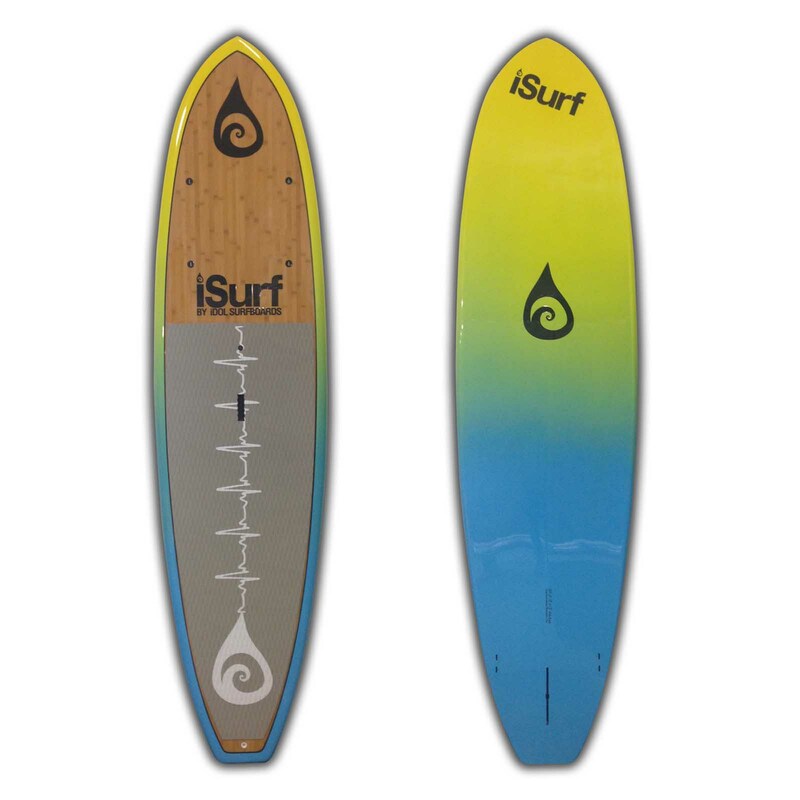 It is a great all-around board for beginners up to 195 pounds. 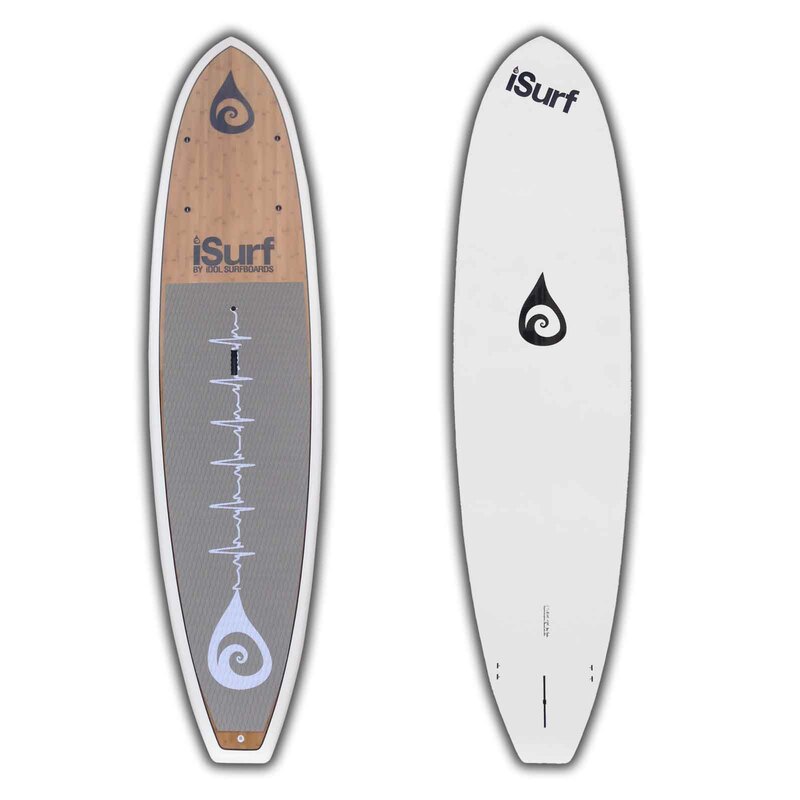 This board measures 10’6″ in length and weighs only 23 pounds. 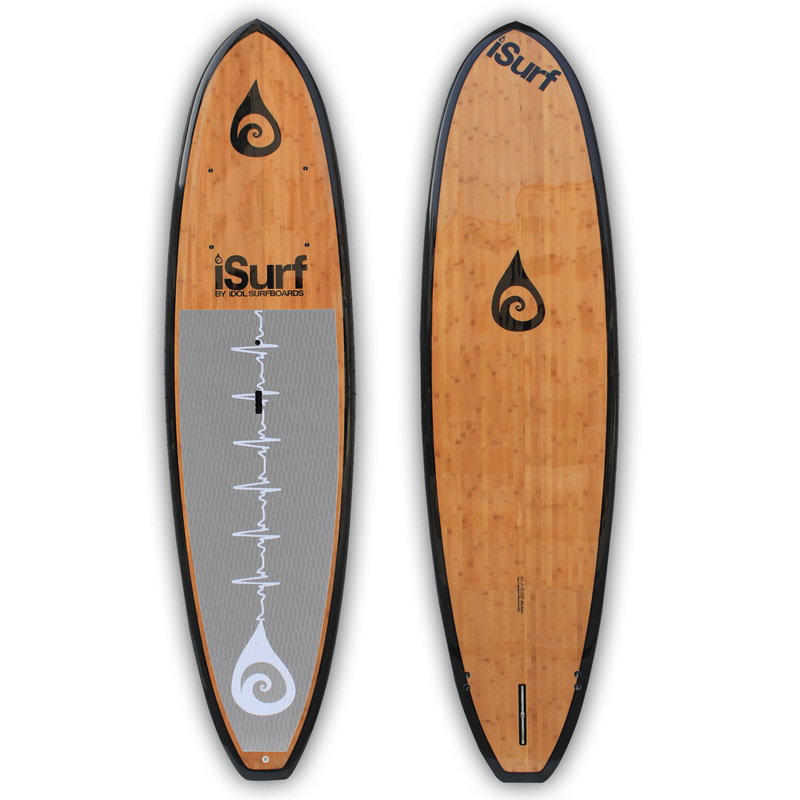 Using iSurf’s signature carbon/bamboo glassing, we are able to minimize weight and maximize durability. Carbon/bamboo is not only the lightest and strongest construction we offer, it is visually stunning. 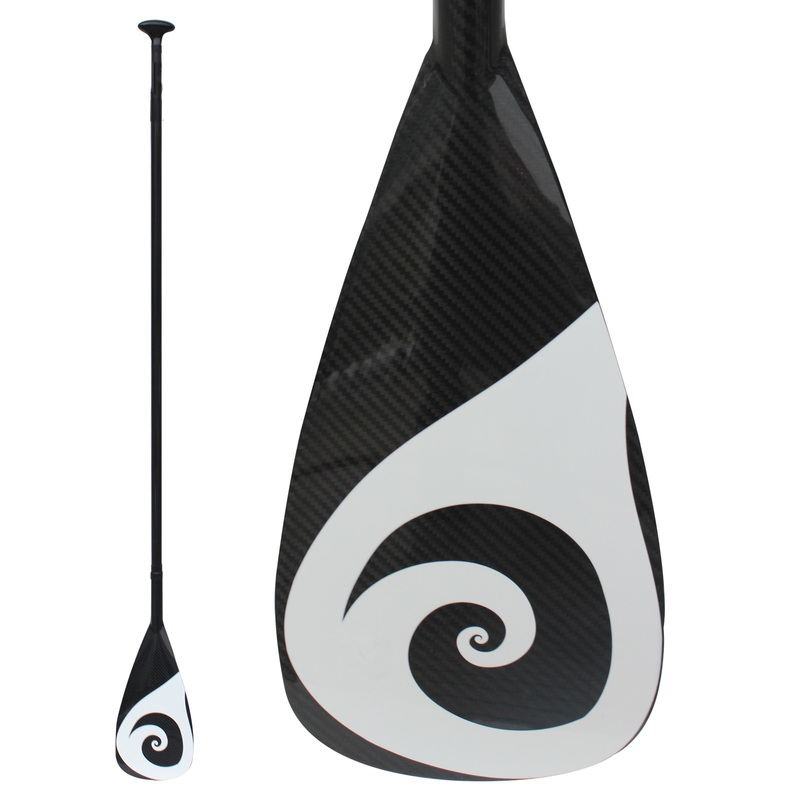 EPS, Epoxy, Fiberglass, Carbon Fiber, Bamboo.